Switzerland is a landlocked country in Europe especially known for being a hub for businesses and investment. Switzerland is known for its high-tech stable economy and business friendly laws and policy. It is known for being the wealthiest country in the world for per capita income. It is the 19th largest economy in the world based on GDP. Given its small size it is one of the best performing economies in the world. To add more, the World Economic Forum ranked Switzerland as the most competitive economies in the world and by EU, the most innovative country. All these rankings have been achieved because of the policy that the government follows when it comes to investment and business. So if you are interested to do business in Switzerland then this article is for you. Switzerland is home to some of the most prominent companies known in the world but it also has a huge dependence on small businesses that contribute to the economy. Here are ten small business and investment opportunities that you can go for in Switzerland. Switzerland is doing excellent in tourism sector. The country attracts people from all across the world because of its beauty and nature friendly atmosphere. If one wants to invest in tourism sector then there is a lot of scope apart from traditional market. Car rentals, food restaurants, bars, guide service, professional photography, adventure sports, etc. are many such options available for one try their hands. There are many businesses that one can work on which is place specific. Like the alpines attract different kinds of businesses which one can go for after a brief research. Take your time and do research to try the best business in tourism industry. Switzerland is known for its economy and business friendly laws. The reason for its growing and booming economy are the startups and innovations. The country is also a hub for investments and has series of high-tech firms that are known as MNCs. Every year Switzerland sees thousands of startups and there are many parties who invest money in startups. There are many newcomers into the startups who have no experience and low very little on how to start their business and run it efficiently. Why not a startup consultancy service that aids and guides startups towards its logical end. One can hire some experts and invite guest guidance to help such startups grow. One can charge money for it and make it a profession with various branches. Since the country is a major destination for business thus it is evident that there will be lots of offices in the country. Some major companies can buy everything on their own but there are many companies who rely on renting office equipment rather than buying them. This saves the initial cost of investment since these items can well be rented. Such items include office furniture, computers, machines like Photostat, Air conditioner, appliances, projectors, etc. which are known as general office items. These items can be rented in bulk thus they cost less in comparison to directing purchasing. Opening a business of renting office items can be a good idea since the requirement of such items is huge in the country. Corporate employees are these days advised to go for meditation and yoga in order to reduce the stress being built given the hectic work and pressure based work. Many employees have faced serious health problems because of stress and work overload. In order to solve this, doctors are recommending them to go for meditation. Such centers for meditation and yoga is in full swing in Switzerland and there is much scope to it. In order to do well in your business, you can introduce various schools of yoga and meditation, new teaching methods with tech advancement making it viable for your customers. This business all across the world is doing excellent and has huge market potential. Many people find trouble in developing a personality that can help them in their career. Since the country is a well-known place for corporate, business and entrepreneurship, there are many people who search for an institution that can help them in building skills and personality that can boost their career. Many people go for public speaking skills while many go to enhance friends making skills. Some learn the basic manners in office life and while there are many who develop their skills in management and network building. Such institutions if opened have future in Switzerland since many people require such skills and are asking for the same. This business idea is a bit unique and different from the conventional business ideas. Many of you as employees and corporates would have fixed up meetings in your cabin, hotels and conference halls. Why not have a specific center especially meant for business meetings and negotiations. How you can do well is that in such centers, the cost of booking your space won’t be that costly in comparison to a standard hotel. In addition, since this center is especially meant for such work, you will be able to get everything you need from the point of view of a meeting or deal. You can have a space rented or owned where you can make it as conference, meeting and negotiation room with needed technology, facilities and hospitality. Switzerland being a pro-business place will certainly be conducive for your business. Many countries and their businesses have shown interest in investing in Switzerland market. There are import-export business running between Switzerland and other countries. People of such countries require enough knowledge and assistance while doing business in Switzerland and investing in the market of the country. One can open a consultancy service where you can help such individuals or businesses who are dealing with Switzerland as a business in whatever capacity. Since such businesses don’t know much about the business policy, laws and other issues of doing business in Switzerland, your consultancy will play a role in helping them in their business. You can take a call whether you only want to be an advisor or you want to go more and become promoter or their business, assistant or a mediator. Since Switzerland is one of the most prominent place for the world, there are people who visit and stay in the country for various work. Geneva, Davos, Zurich are some common cities of the country which are famous for being headquarters for United Nation’s, European Union’s and other important global organization’s agencies. Thus these places invites nationals from different countries who differ in language. One can open language centers to help such nationals learn different languages needed for their diplomatic endeavors. Diplomatic assistance or helping foreign nationals in their work can be another business endeavor open for you. Since an embassy can’t have 100% of their own nationals deputed for different work, you can make contracts in helping them on projects at a cost. This service is related to people who are resident for a short period of time which includes nationals from different countries, officials deputed at diplomatic levels, employees, and business people. Many stay for a while in the country and thus require some basics. This includes a house, house furniture, appliances, utensils, assistance in locating, packaging, finding maids, etc. An assistance company that works in this area has bright future in Switzerland. You can make your business work using digital methods like a website, app, social media page, using advertisement and networks. Charge them a particular amount for assisting them in getting a house, house items, maid, finding out school for their children, etc. Hire some people well versed in these things who will work as mentor to such people. Lastly, nothing works as better as conventional businesses. 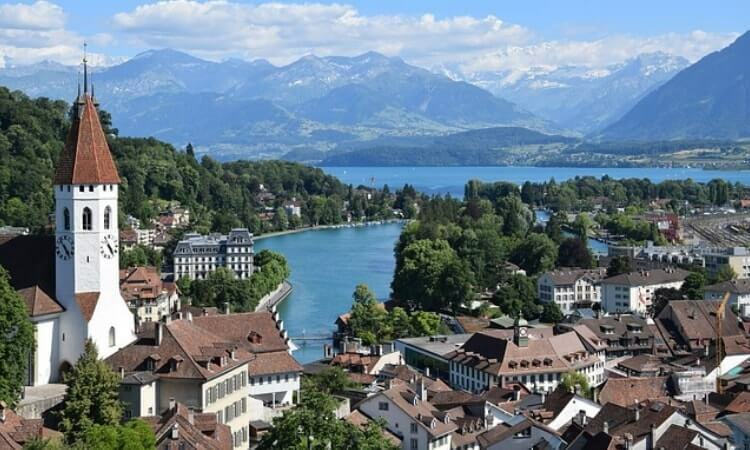 Switzerland being a country of businesses, corporates, immigrants, visitors, diplomacy is a place that needs hotels, restaurants, recreational centers, hangouts, bars, etc. to match the needs of people. You can open a business related to such fields that are sure shot success if implemented well. There are many parts of Switzerland that are now expanding in modern cities and business hubs. They need infra, hotels, shopping marts, educational institutions, hospitals, restaurants, etc. Do some research and opt a business that works in that location. Based on the demand, anything you try that requires less investment will be a success. Go for it and you will succeed in your endeavor. In last, don’t forget that no matter how much a country is business friendly and no matter how good the business idea is. Nothing works if you don’t have a solid business plan with efficient execution. Focus on the basics, do research, make networks, take guidance and then go for your business.